WKN returned to Northern Ireland this past Sunday (Oct. 14) with “made in Prokick” event presented by Billy Murray at Clayton Hotel. The former four-division World Champion put on a spectacular fight-special featuring local and international competitors coming from Cyprus, Italy, Scotland and Ireland. 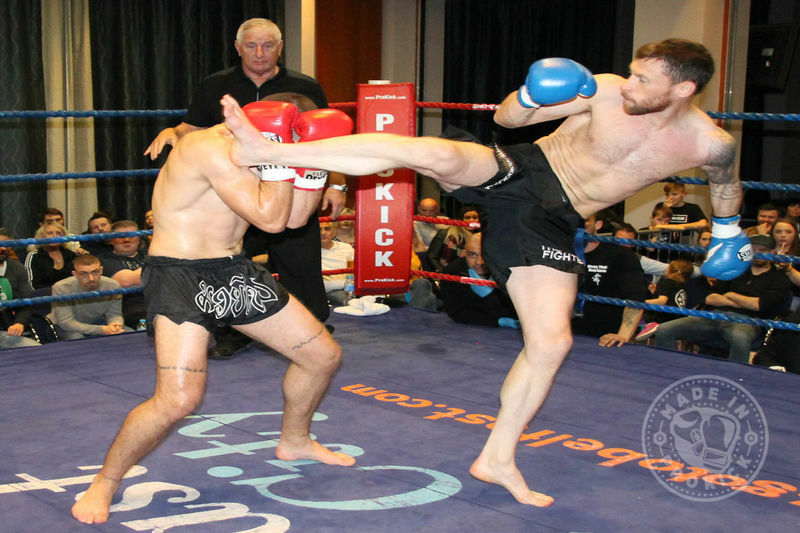 In the main event Johnny Smith stopped Periklis Filippou of Cyprus in the second round. Matthew Kerr took the second win by decision as well as the WKN Celtic Super Welterweight title against Shane Weir of Scotland. Darren McMullan scored a unanimous decision against Nikos Kollias of Cyprus, and Rowena Bolt and Valentina De Santis of Italy battled it out to a draw. The undercard featured amateur and novice contests. The full results can be found below.